Why Does The Length Of A Chapter 13 Plan Vary Between Three To Five Years? Probably because Congress felt like that sounded like an appropriate number of years when they drafted the code (actually, it was the credit industry and their lawyers who drafted the code, and the members of Congress simply voted “Yes” for it). But regardless of why they chose the 3-5 year period, what is important for an individual contemplating bankruptcy is to understand which length of time is best for them. To begin with, there is definite hard rule when it comes to the length of a St. Louis Chapter 13 bankruptcy. If you are above the median income level, you will have to do a five year plan. If you are below the median income level, you can do a three, four, or five year plan. Why the variability as to median income levels? Congress can tell you anything they want, but the real reason is because they assume that if you are above the median income level, you can afford to be in the Chapter 13 plan for a greater length of time (so that you end up paying more in interest). Median income levels are determined by the federal government, and are actuated by way of various standards set by the IRS (and are commonly referred to as ‘cost of living’ standards). These levels are adjusted from time to time (in an attempt to mirror what the average (or median) income levels are across the United State). So for instance, according to the federal government, the median income for a household of two is: $51,120.00. If your household income (wages, unemployment benefits, child support, etc.) is above this figure, you will have to do a five year plan in a Missouri Chapter 13. If you are below that level, you can opt for the three or four year plan. Although it may seem as if going for the shorter length of time in a Chapter 13 plan is optimal (and sometimes it is), there are good reasons for why someone may choose a longer one. Because the longer the length of the plan, the lower the monthly plan payment is going to be. For example, if you were to do a three year plan, your monthly plan payment may be $450. But if you stretched it out to five years, the monthly plan payment would probably be closer to $275. For some people, the monthly savings of $175 can be the difference in making sure all the utility bills paid on time. Figuring out what scenario is best for you almost always comes down to the type of legal advice that you receive. If you receive good, solid advice that makes the best sense for your situation, then you will be in a much better position now and in the future. 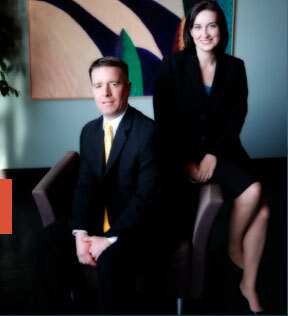 The St. Louis bankruptcy attorneys at Brinkman & Alter, LLC have been helping people understand their options, and leading those individuals toward a brighter tomorrow. All our office consultations and phone conversations are free of charge (even though people think we are crazy for having such a policy), and our staff is prepared to guide you through the bankruptcy process.